Sell Your House WITHOUT THE HASSLE! No Fees. No Commissions. No Waiting. We Guarantee a Fair Cash Offer In One Day! You Choose The Closing Date. We Take Care Of ALL The Rest. Call us today or send us your info to get started! I Need To Sell My House Fast In Louisville KY! We Buy Houses Anywhere In Louisville KY — Any Neighborhood, Any Condition, Any Price Range. Check Out How Our Process Works. We’re ready to give you a fair CASH offer for your house today! No fees, no commissions, no waiting! When people imagine the process of selling their house, it’s usually a pretty traditional picture: agent shows buyer house; buyer loves house; buyer is financially approved; inspections are done, then the sale closes. The reality is that home sales are RARELY this easy and straightforward. Sellers can face months of waiting, sleepless nights, anxiety, and uncertainty during every step of the process. Even when you’re not pressed for time, the effort involved in completing this process can get overwhelming quickly. It doesn’t matter whether you live in your property, it’s vacant, it’s rented out, or if it’s not even habitable. We’ve worked with homeowners in ALL of these situations and more. We work with you to make an offer that works for both of us, set a closing date, and we take care of the rest on our own. There’s no need to make repairs, no need to work on curb appeal, and no need to straighten up and clean for potential buyers. We’re even prepared to take your fire-damaged home…even a rental home with bad tenants! If you have a property in Louisville, you’re ready to sell and you want OUT today… we’d like to make you a fair cash offer and close on it when you’re ready to be done, once and for all. 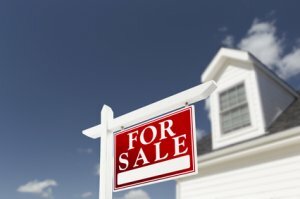 Can’t Sell Your House in Louisville, KY? Can’t Sell Your House Fast in Louisville? We Can Help You. Contact Us Today! We can buy your Louisville house. Contact us today! If you’ve worked with an agent who can’t sell your house — even if you want to skip the agent all together — we’re ready to get started! As soon as you contact us, we’re getting right to work learning about your property and putting together an offer. We’ll know very quickly if we can help you, and unlike selling through an agent, you don’t have to wait to see if we can get financing, because we don’t need banks to buy your house! All that hassle can add stress and months to the process, and in the end, after paying the agent’s expensive fees and commissions, you may not even have much profit left to show for it. The best part? We can close whenever YOU choose to – you pick the date! Need to get this property off your hands NOW? We can close next week! Need to wait a few weeks or months until you have new housing lined up? No problem, we can wait! You direct the process — we’re here to make it easy for you. We help property owners just like you, in all kinds of situations. From divorce, foreclosure, death of a family member, burdensome rental property, and all kinds of other situations. We buy houses in Kentucky, including Louisville and surrounding areas, and pay a fair price with cash, fast. Sometimes those who own property simply don’t have the extra time needed to prepare a house to sell on the market. If that describes you, just let us know about the property you’d like to be rid of and sell your house fast for cash. If you simply don’t want to put up with the hassle of owning that house any longer, and don’t want to deal with the time-consuming expense of selling your property the traditional way, you can talk to someone in our office today before submitting your property information by calling us at 502-255-2035.